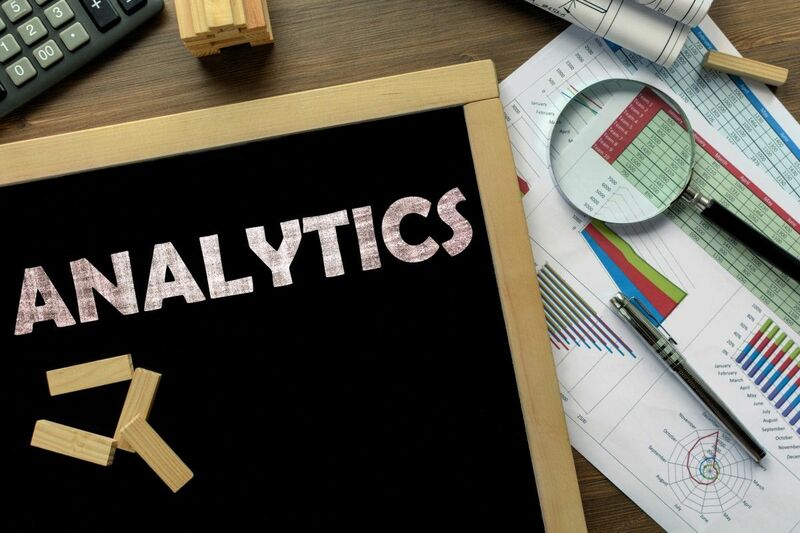 What do all Those Analytics Terms Mean? Do SEO terms confuse you? You need our Google analytics glossary. If your business uses search engine optimisation campaigns, it is absolutely vital that you track your results. You need to know what is working and what isn’t so you can refine your strategies. But, when you look at your analytics dashboard or read your SEO report, do you know what all those terms mean? Here’s where our Google analytics glossary comes in handy. We explain some common terms that can be found on your analytics account. It may seem like the SEO industry has its own language, but when you understand what some common terms mean, your reports will be much more helpful. This list is by no means exhaustive but it includes some of the most common terms used in SEO tracking and reporting. Search engine marketing is the process of promoting a business using SEO tactics to make the business’ website easier for users to find through search engines. This is the page displayed on a search engine after a user types in a word or phrase. The pages include both paid and organic search results. The goal of SEO campaigns and SEM is to achieve higher rankings. Google uses several different factors to determine how important a website or page is and then assigns that page a number on a scale of zero to 10. The higher the number, the more important Google deems the page. A page’s authority is determined by how high it ranks in search results. Pages with a higher authority are well optimised and therefore appear at the top of SERPs. “Backlink” is the technical term for an inbound link, or a link on one site that leads to another. Building backlinks is one way to increase your website’s search rankings. When a website links to another website, it passes SEO credit to the site or in a sense endorses it. You can choose to make some links nofollow links, so this credit is not passed to the site. In general, you shouldn’t use nofollow links when you link to other pages on your own site. Organic keywords, as used on website reports, are the words that people type into search engines that lead them to your website. Ranking for organic keywords means that a website appears at the top of organic search results, below the ads on SERPs. Paid keywords are the words that a business has purchased through a search engine. You can pay to have your website appear in the ad section of SERPs when specific words are typed into the search engine. Pageviews are simply the number of times a page has been displayed on users’ browsers. This number shows you the number of times your page has loaded, not the number of people who have seen it. This number tells you how many people have viewed a page. Your site may have 500 pageviews, but only 300 unique pageviews. This means 300 people have viewed the page and 200 of those pageviews were multiple visits by the same users. A site’s bounce rate is the percentage of people who come to your website and then leave it from the same page, so they only view one page of your site. In general, you want to strive for lower bounce rates, which will tell you that your visitors are exploring your site and spending more time on it. Understanding what these terms mean, and what these numbers and statistics mean for your website and business, will help you refine your SEO plans and make your site easier for your market to find. Our Google analytics glossary will keep you up to date. Hopefully these terms in our Google analytics glossary have helped you understand the world of SEO that little bit more. If you’re in need of more information and how our SEO services can help you and your business, don’t hesitate to get in touch. Call Bigfoot Digital today on 01226 720 755 or drop us an email to enquiries@bigfootdigital.co.uk.